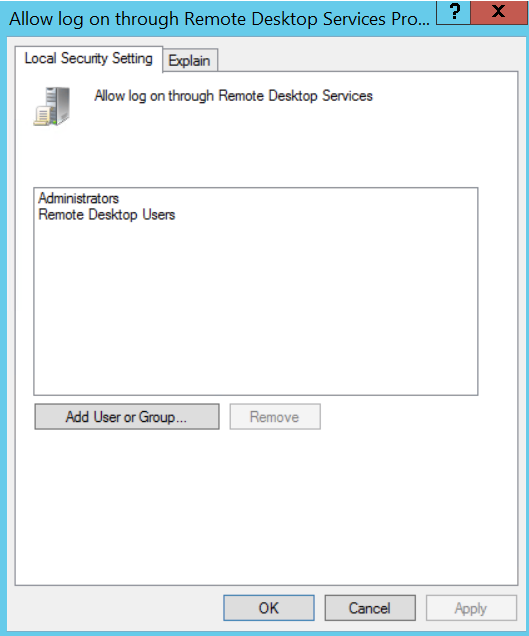 Deploy Remote Desktop Services in a Workgroup or Domain Easily! This article was the underlying document the post came from. Notice at the bottom it is valid for 2016 as well! For all you Terminal Server or Remote Desktop Services or RDP Geeks out there, Let me spend a minute to clarify a call driver that continues to be popular. The Scenario is deploying Remote Desktop Services in a work group. Call this a corner case, or call it what you will. The reason this is a popular support call is due to the fact that there are two articles needed to complete the setup. 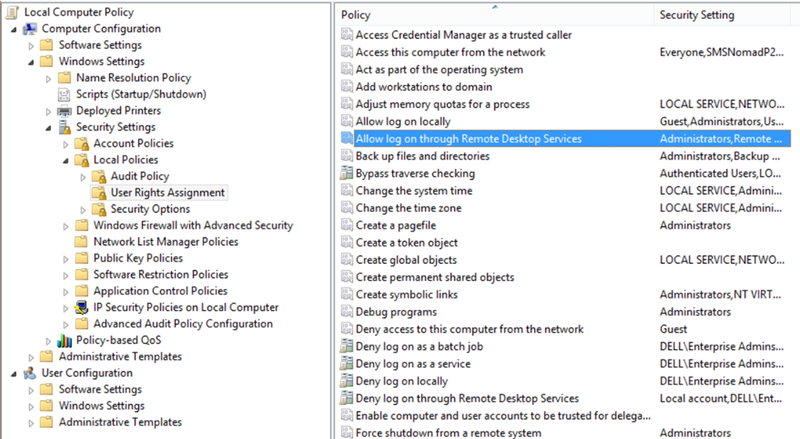 Oh sure Microsoft does tell you to add a policy after your setup, but they specify you use GPEDIT. not much help there… Until Today! First you need to Deploy the roles correctly. The Specific KB I chose for this article, is the one you would use for the simplest setup. One that keeps you clear of very common mis-steps of walking through the setup in the Server Manager. If you did your deployment correctly, you didn’t even need Server Manager. For a work group you do not have to add the Terminal Server to the Terminal Server License server group. Why? With No DC, you don’t have to report to anyone. Find the group folder and create a group for your RDP users and add your users to this group. You are going to see now, the two LSO (Local Security Object) you will be enabling. Use the Specified Remote Desktop License Servers –Value- IP address of RD License Server. Set the Remote Desktop Licensing Mode- Value – 2 or 4. 2 is for Device CAL and 4 is user Cal. Now there is another Policy to set. For this, you want to just go back to the top. Start out at Local Security policy like before (GPEDIT.MSC).See figure 3. 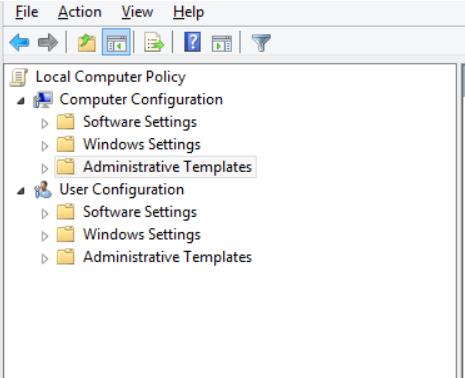 Expand Computer –>Configuration,–> expand Windows Settings, –> expand Security Settings,–> expand Local Policies and then click User Rights Assignment. Enable this policy and add the group you used earlier. It is highlighted in this article above. Add this group to this policy. 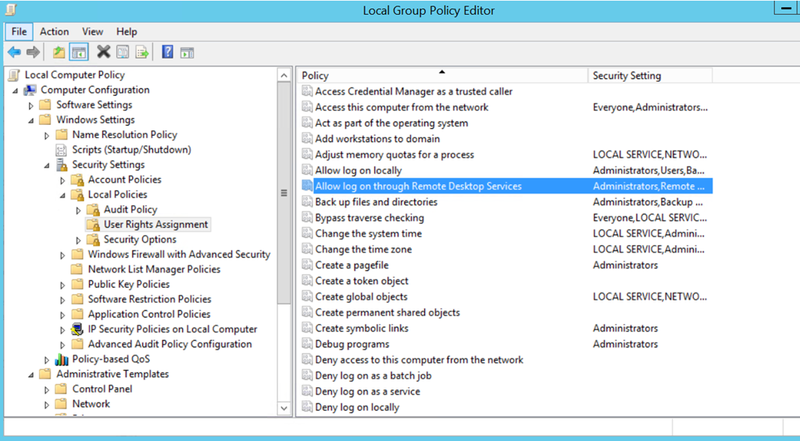 In addition, add the Remote Desktop Users group to this policy if desired. Don’t and your administrator name here. The Admin already has access. If you ad your admin name, it will lock you out. 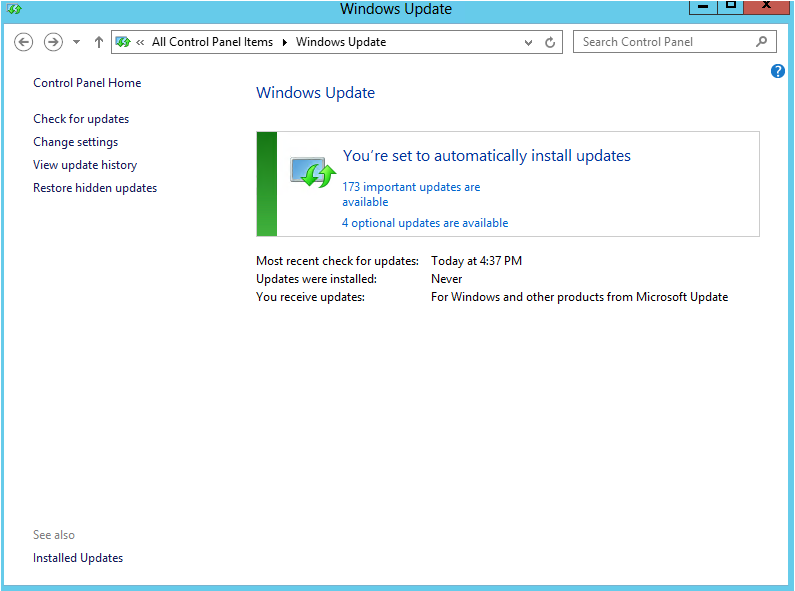 So best to to stick to adding the Remote Desktop users group. You should see the server name in the output. You have now covered all your bases, and your RDP should be happy!! It will be happy because you paid attention to all the rights things! Now I did find an interesting article to which I cant really comment on. However, it is an interesting article. IT deals with some issues, you could run across. One article says don’t use a work-group. The other says “This server can be part of a work-group or may be configured as a DC.” Which do you believe? They are both true. Microsoft does not want you to use it in a work-group, but you can because they provided a way for you to do it. The cost? Printer Redirection issues, and a few other small things, but you can do it if you need to. Bottom line is Install your Terminal Server in a Domain. But, If you have no other choice then use a work-group if you have to. Well That is it. I hope this has been helpful for work groups or non-work groups. this basically can be set up on either. Switching Hyper-v CSV Clustering from Software teaming to Hardware isolation. I wrote this article for several reasons. There are a lot of reasons why you may want to go from a Software team to Hardware, or Vice Versa. I make no comments as to why you would do either. This is to say, There are some circumstances where you are better served with a Software team, and some where you will see better results with hardware and the NDIS driver. I will leave the why up to you. However, If you have the need, here is a rough guide to get you though the conversion of a Software Teamed 2012 or 2016 Cluster conversion of your network, To hardware NICS and Isolation. This article is high on text an low on screen shots. All I can do is apologize in advance. Converting the Windows Cluster from Software Teaming to Best Practices, Using Hardware Isolation. Another title to this article could be switching from Software teaming to Hardware isolation for CSV clusters. My software teamed cluster performs lousy. Why would you perform this change? You would do this if your using 1GB NICS for your cluster, and software teaming is not working well for you. I have found that the network changes around 2012 may be better suited to 10GB NICS then 1GB NICS. I find the 1GB NICS aggregation may not always be the best way to setup a cluster, depending on the needs of the customer, and the type of software running. I find that the original Network Best practices suit some customers from a maintenance perspective, as well as ease of understanding, when the IT persons are not full time network admins. This article demands that your Storage Networks are on a separate switch from the Clustering Networks. Furthermore, The Cluster Networks should be ideally isolated with Vlans, by Subnet, to prevent any collisions of packets from a unique subnet. If the Network is flat, That may not stop you from moving to this setup. Just know that some isolation is recommended. But, using a separate Subnet per Virtual network is still a must. The Design of your network should be based on the Initial Configuration Guide for Hyper-V networks for a CSV cluster (2010). The 2010 Documents lay out the Premise of Windows Clustering, with the goal of having CSV Live Migrations optimized. The 2013 Documents, Shows the embedded method of isolating the traffic within the Teamed interfaces. Having been an Engineer lots of Hyper-V Cluster cases, the main reason for CSV cluster issues, was some form of mis-configuring the network, as per the best practices. In 2012, we have now added the additional choices of using a software Microsoft Team and or LBFO options using scripting to send the traffic down specific virtual network adapters. The change in server 2012 and 2016 has changed the perception of what can be done with the new technology. I now see the majority of Hyper-V networks using Microsoft teaming. Which is fine. Its fine, as long as you are using the virtual LANS; creating the isolation, along with the team. So the whole message of server 2012 and 2016 is Teaming and Isolation. What I am seeing all too often is just the teaming portion. For this reason, I am bringing back the original specifications, to make the statement, that Isolation is the Key element to a CSV cluster. Teaming can be fine, But Proper Isolation comes first. This means that if you are not a network person, and don’t have access to a network department to set things up for you, then you may want to stick with the original guidelines, which I am about to present to you. In this article, we are going to convert a Cluster from a Microsoft Teamed network, to a Vanilla Hardware Isolated, Cluster Network. You will start On a node, that is not being used by the cluster. We will make the changes to one node, at a time. When the first node is done, move to the next. Run Ipconfig /all > c:\ipconfig.txt on all cluster nodes. Remember not to record NICS that have parenthesis around them or are multi-plex adapters. These will be going away. We will only rely on physical adapters. So your Subnets need to be assigned by #6 above. All VMNICS wont have an IP because they will all be dedicated to the Hyper-V switch. 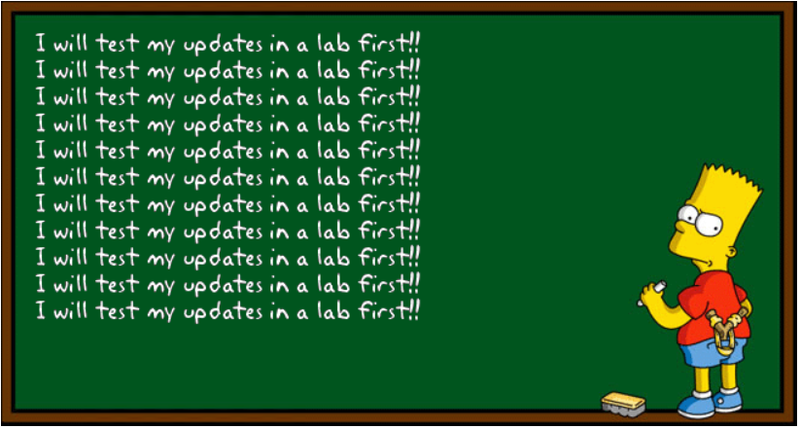 The easiest way to express this is to explain that Every Live Migrate will be on the 10.10.11 network. Every CSV will be on the 10.10.12 network. Every host will be on the 10.10.13 network. Every Replication will be on the 10.10.14 network. Every host will have a dedicated NIC for each of these networks. Replication above would be Ideal. If you don’t have enough NICS to have this network, then its ok. This NIC may also be called a Storage NIC. IF so, this NIC will Have MS Client sharing disabled, and uncheck register in DNS for this NIC. Hopefully, these tidbits have helped you prepare for the actual work, because here we go. This will need to happen on every cluster Node. Remove all Network adapters from the Software teams. Verify that all virtual NICS are gone. Restart server if they are not. Go to Programs and Features and right click the Network adapter management application. Add NDIS if Broadcom, or whatever the 4 letter acronym is for advanced service of the NIC brand installer. Place an IP, Subnet, DNS and Gateway into the Management NIC. That’s it. Once you have done the second machine, make sure you can ping across to the other NIC on host1. As long as you pass the ping test, you may move to changing the other Nodes in the cluster. The only thing left to do, Is to set your priorities for the networks. The priorities are in the center pane of cluster manager. Choose network in the left selection plane. And that’s it. Once you have that established, your cluster will now be working on physical NICS only. Now with the NICS you have left, you may go back and add selective hardware teaming where it makes sense. No Teaming on Storage NICS. Honestly, it may be better to wait to see if you have any area of weakness. For Example, If the VMs seem slow during intense workdays, you may remove the VMNIC, from Hyper-V, Team it, and then put the multiplexor back in as the VMNIC used for Hyper-V VMs. I hope this has been helpful. Please remember that this works automatically, because the Cluster is able to identify NICS on different servers, and automatically matches them to the same subnet. The NICs from the various servers will show up together in the network tab, because they are on the same subnet. As such, the cluster knows that they will be performing a specific job in the cluster, based on the settings laid out in this article. This is not better or worse then software teaming, but it may be the right choice for some IT teams, who are more familiar with hardware NIC assignments as part of their Job description. Also please understand the days of teaming with 1GB NICS is coming to a close. Very quickly 10GB NICS are becoming the standard. The difference in these setups becomes MOOT when your no longer using 1GB adapters for clustering. Good Evening- Copying files takes one or more ESX servers down? Yes- Using a UNC path to copy a file from VMa to VMb could purple screen your ESX server. All you need to do is use the E1000 VM NIC type. Synopsis> Don’t use E1000 VNIC on ESX 5.x if you use windows VMS? Apparently so! This problem is not Lync Specific, but I saw this happen with a verifiable pattern. To reproduce this issue, all that was necessary was to copy a large file between virtual machines that had a common storage device (SAN). All Virtual Machines on multiple hosts failed, and a hard power down was required in some cases to return server to functionality. A ticket was put in to VMware and the results were surprising. 2. The Recommendation from VMware was to use the VMXNET3 virtual adapter and reduce the usage of the E1000 series adapter as much as possible. 3. In addition, disable RSS within the Windows virtual machine. For more information, see the Resolution section of the KB article Poor network performance or high network latency on Windows virtual machines (2008925). The Simple operation of copying a file between virtual machines could occur under many circumstances so I would add tags to suggest this could effect any windows implementation on VMware. Please beware of this problem as the issue could cause multiple VMware Hosts to fail, taking down all machines on the Host. We saw this occur on a copy of Lync Update.exe from one server to another. I placed this in the Lync Blog section of my posts, but any Windows application with the VMware virtual NIC E1000- Is susceptible to this problem. The cause is listed as- This issue occurs when the rx Ring buffer fills up and the max Rx ring is set to more than 2. The next Rx packet received that is handled by the second ring is NULL, causing a processing error.